Mt. Everest (27° 54′ N, 86° 54′ E), the highest peak, is often referred to as the earth’s ‘third’ pole, at an elevation of 8844.43 m. Due to the difficult logistics in the extreme high elevation regions over the Himalayas, observational meteorological data are very few on Mt. Everest. In 2005, an automatic weather station was operated at the East Rongbuk glacier Col of Mt. Everest over the Himalayas. 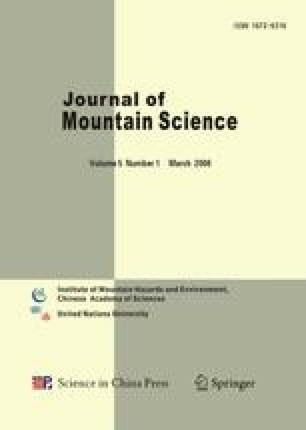 The observational data have been compared with the reanalysis data from the National Centers for Environmental Prediction/National Center for Atmospheric Research (NCEP/NCAR), and the reliability of NCEP/NCAR reanalysis data has been investigated in the Himalayan region, after the reanalyzed data were interpolated in the horizontal to the location of Mt. Everest and in the vertical to the height of the observed sites. The reanalysis data can capture much of the synoptic-scale variability in temperature and pressure, although the reanalysis values are systematically lower than the observation. Furthermore, most of the variability magnitude is, to some degree, underestimated. In addition, the variation extracted from the NCEP/NCAR reanalyzed pressure and temperature prominently appears one-day lead to that from the observational data, which is more important from the standpoint of improving the safety of climbers who attempt to climb Mt. Everest peak.